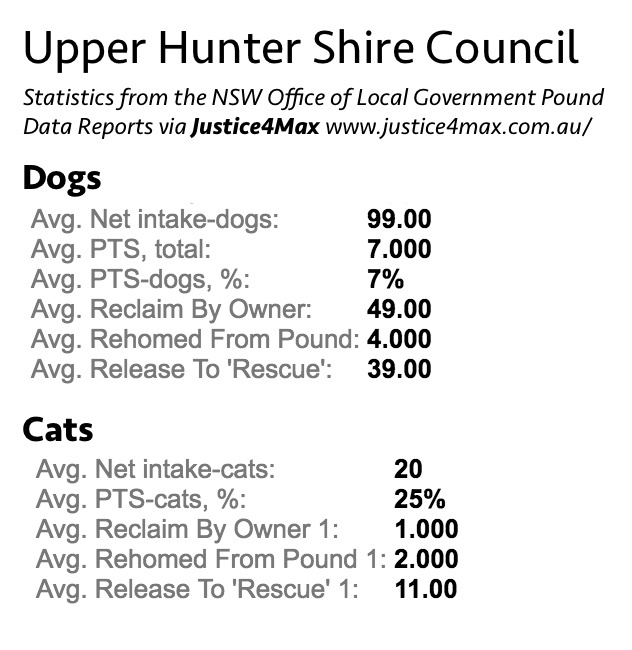 So you're an animal lover who sees a need for the support at your local council pound. The pound is closed after hours. So you buy a microchip scanner to help pets get home, and spend your own money to build a dog run so that you can safely hold animals until you find the owner, or the pound reopens. You begin sharing lost pets on social media so their owners might find them. You begin transport unclaimed animals to rescues throughout the state and working with other groups to raise funds to for medical treatments and care. And you start to lobby for better conditions in the pound, like protecting pets from the elements and vaccinating pets on intake. A short time after you begin working with the pound, many fewer dogs are being euthanised and most are now getting out alive. Many more cats are finding homes. In fact over the year, 39 dogs and 11 cats are released to rescue. Or 50 of the 56 adoptions for the year. What would you expect to receive? A morning tea? A certificate or gift voucher? Maybe just a personal thank you from the mayor? Well, if you were a volunteer at the Upper Hunter Shire Council (Scone) pound you might, as thanks for your efforts, get a court case for a Apprehended Violence Order. Upper Hunter Shire Council ranger, Jason Marks appeared in Muswellbrook court yesterday to apply for a personal violence order against Leah Marchant who was a volunteer at the Scone Pound and now operates the animal rescue group Scone Lost Dogs. If granted by the court, Ms Marchant would be legally prevented from attending Scone pound to rescue animals. Councillor Sue Abbott was at the courthouse to hear the matter and is also concerned the personal violence order may prevent Ms Marchant from rescuing local animals from Scone pound. “I have a lot of respect for Leah and I think she does a really good job, I mean some of the things Leah must see with dogs and cats and what people do to them would break your heart and I‘m a coward in that regard, so we need Leah,” said Cr Abbott. “Leah has done a lot of work with the pound in the past and a lot of initiatives have been Leah’s suggestions..."
The AVO was refused, and the case sent to mediation. However the problems in this pound are numerous and undeniable and for Council to be shutting out rescue groups speaking out about conditions there, is all the more reason why they should be allowed to do so. The history of the relationship breakdown between council and volunteers is available at www.scone.com.au. If you're a local resident at Scone, maybe you should pop in and sign up for the volunteer program at the pound. It sounds like there needs to be an influx of pet lovers to help out (and witness) on behalf of pets.